Grab a drink and a book and make your Tiki Huts space your favorite escape with awesome decoration. 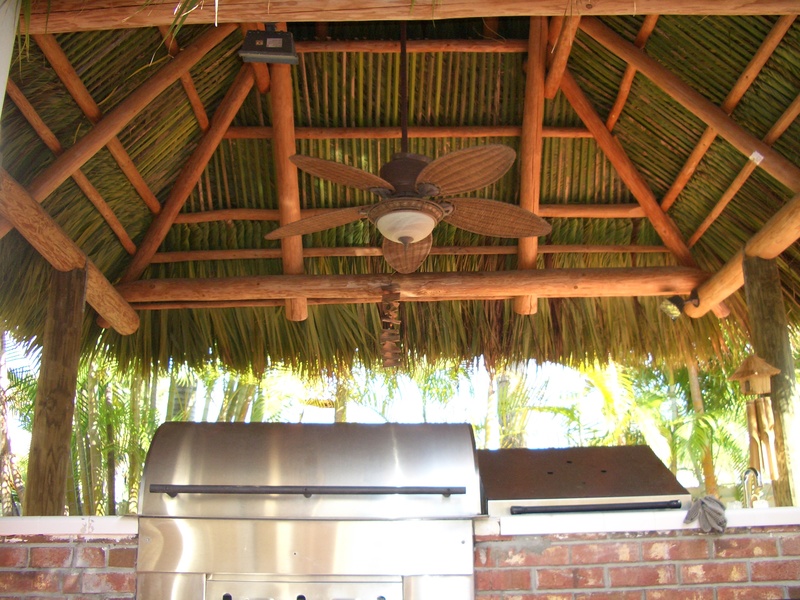 If you have your tiki hut as an outdoor kitchen or as a pool hang out space, the decoration is always the fun part of it. You have the option to go to fancy furniture Bali style and stop by at Pier one and find a nice set to place in your tiki hut, or just shopping on antique stores and donation store to find out a perfect match to your taste (what could take quite some time). Pottery Barn is another solution for wicker furniture surrounds an antique folding table, where the family plays cards. 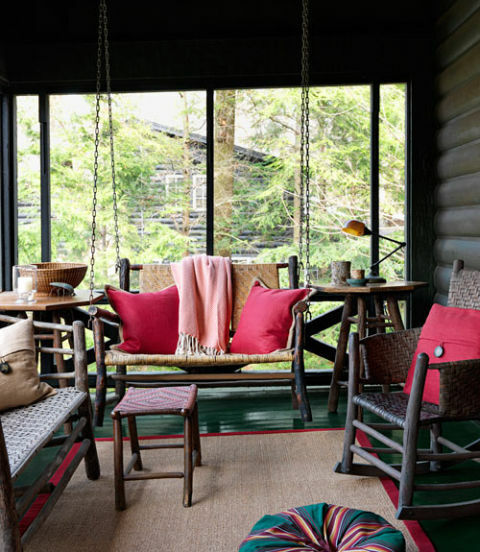 The owners of this Michigan cabin used sturdy chains and hooks to turn a bench into a swing; it joins similarly rustic chair and love seat, both by Old Hickory on the front porch, and its a perfect match for many tiki huts setting. Low-Cost Luxe. Keep in mind the cost should not crossover a cozy and comfortable tiki hut environment. Florida is well known for the humid air/weather. So a sofa and rug as may look really nice and comfortable it may add the extra maintenance you are not looking forward. The idea still to be as relaxing is possible!